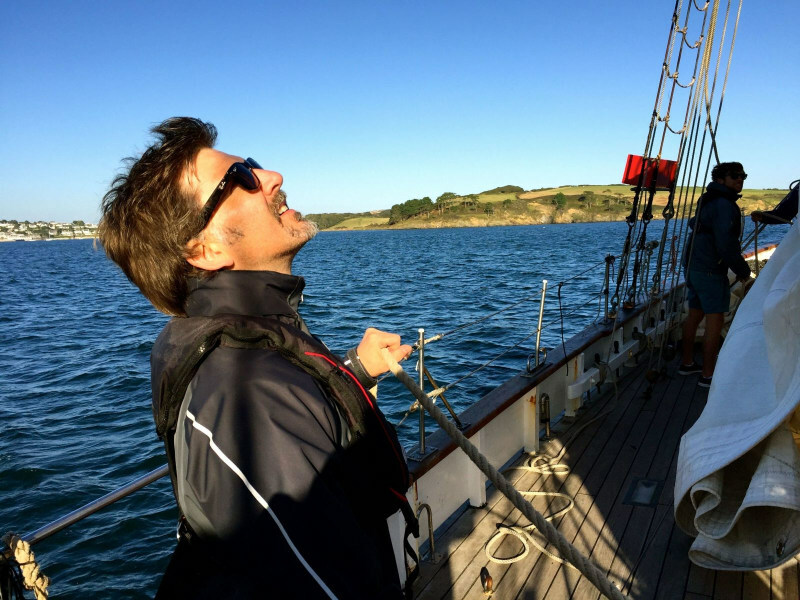 What happens when you mix business with sailing? 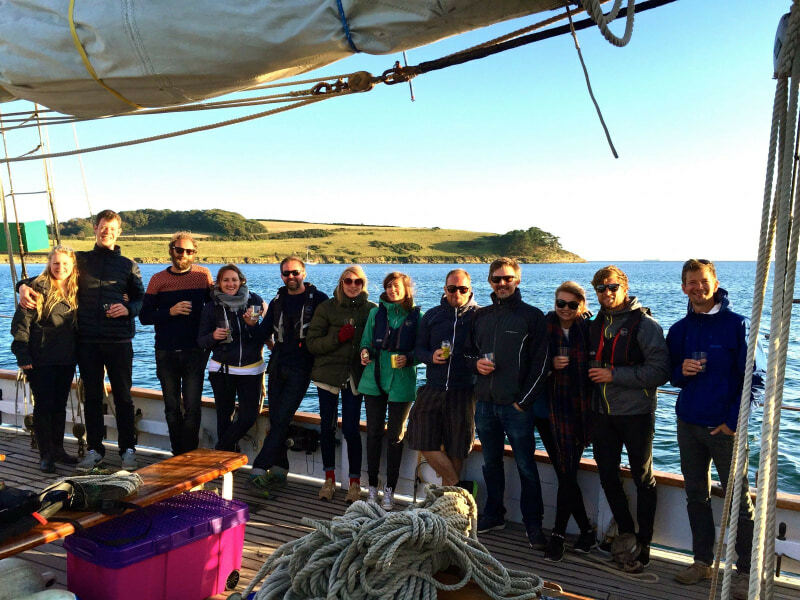 What happens when you mix business, with sailing? When you're out on the open ocean, and two boats are heading straight toward each other, they avoid collision by following one simple sailing rule: Turn to Starboard (turn to the right). This kind of calm, considered response to a potentially dangerous situation, signifies outlook, clarity, and big picture thinking. A few of the qualities we regard as critical in what we do as a business. 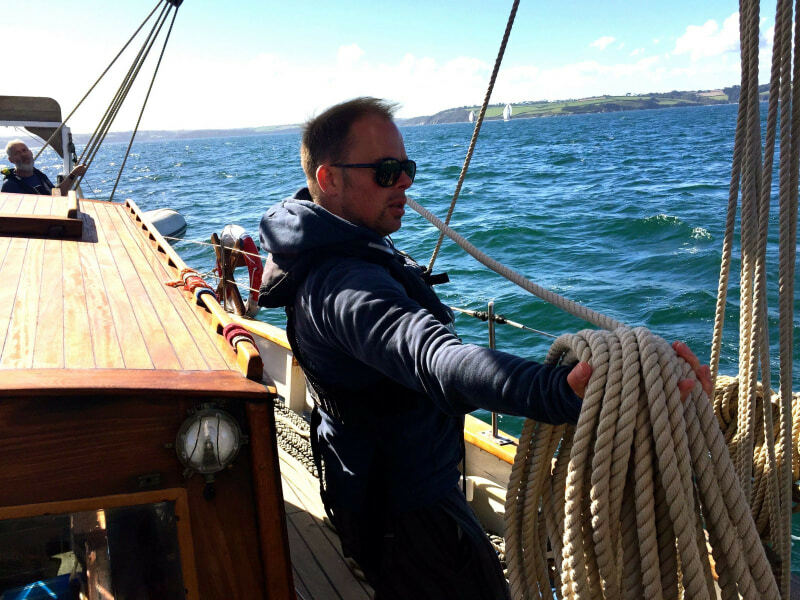 So, when the opportunity arose for us to take the team and some friends on a weekend sailing trip with Turn to Starboard we jumped on board and raised the mast. Literally. Their aim is to help Armed Forces personnel affected by military operations get on the right track. 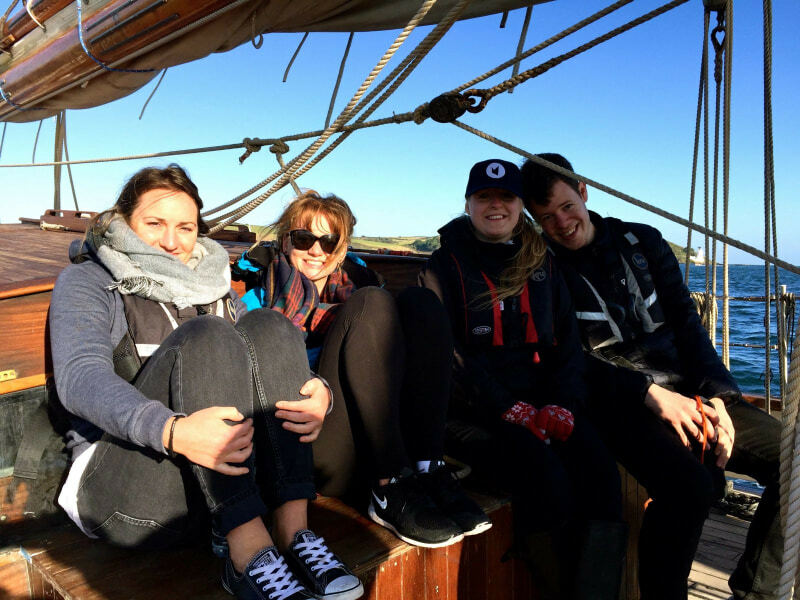 While they traditionally offer sailing courses to Service families, the Dewsign team were fortunate to be offered our own experience of life on the ocean; a weekend onboard the ship. 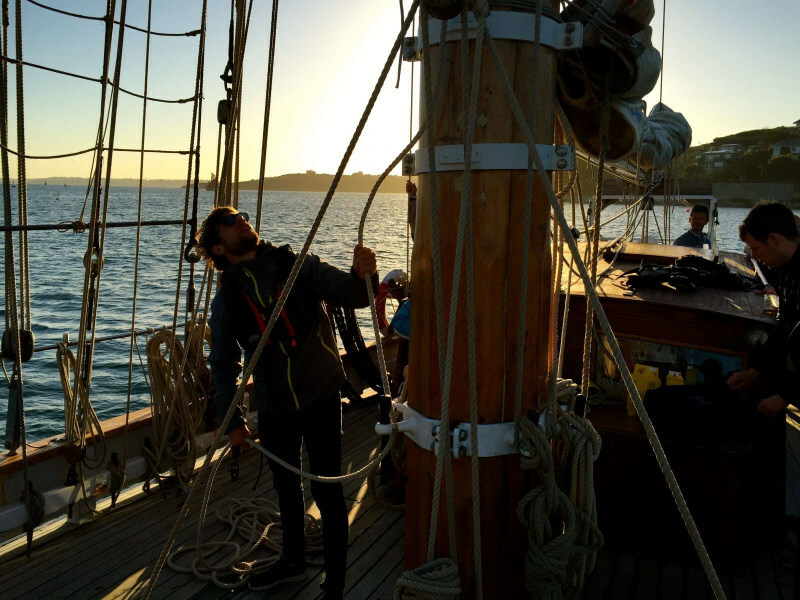 As combination of designers, developers, and hustling project managers, some of the team had never stepped onto a sailing ship before (and apparently watching Pirates of the Carribean multiple times is not considered as 'real' sailing experience). 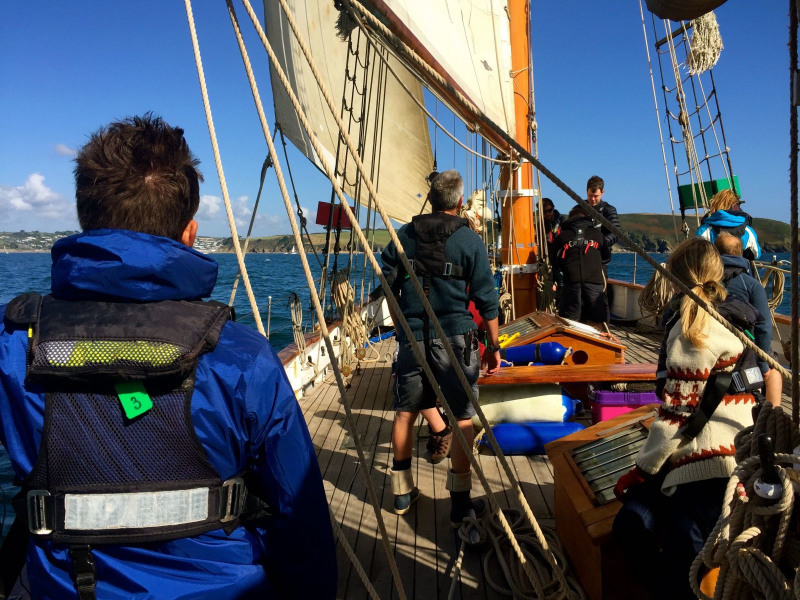 With blue skies and plenty of Autumn sunshine on the forecast, we met up at the Falmouth docks nice and early, with a brewing combination of excitement, nerves and a thirst for rum. 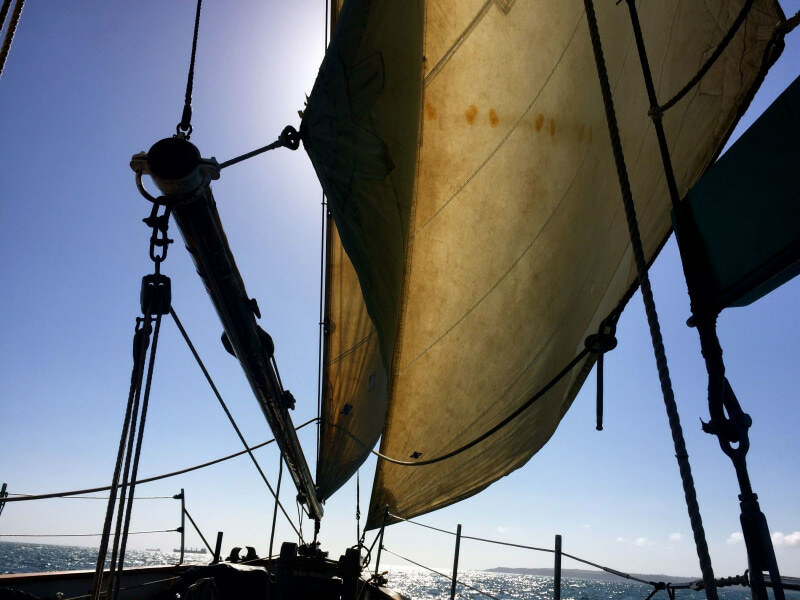 We were quick to get out on the ocean, and the moment we raised the sails - the strong Southerly winds were behind us. We all had a role to play on board, from the ropes to the steering wheel. Climbing masts, folding sails, to making tea. 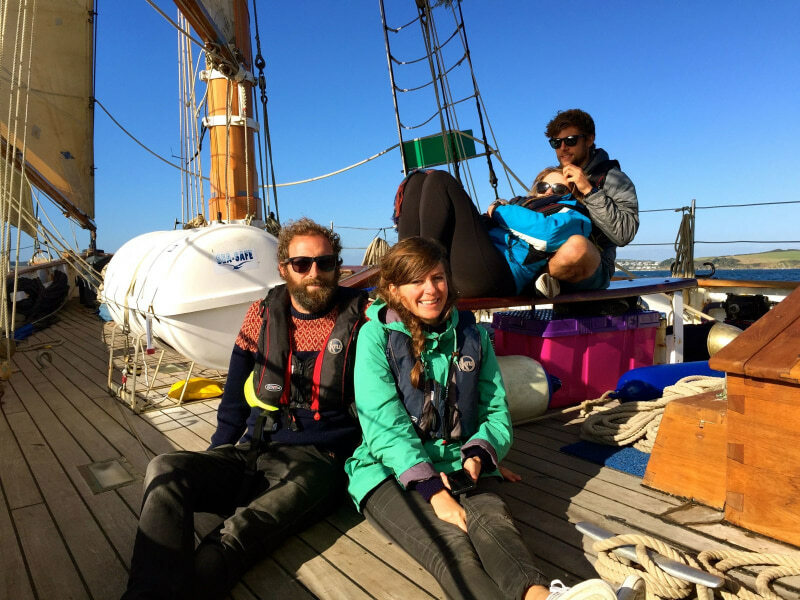 As we sailed the ocean, we began to connect, work together, unwind and relax. 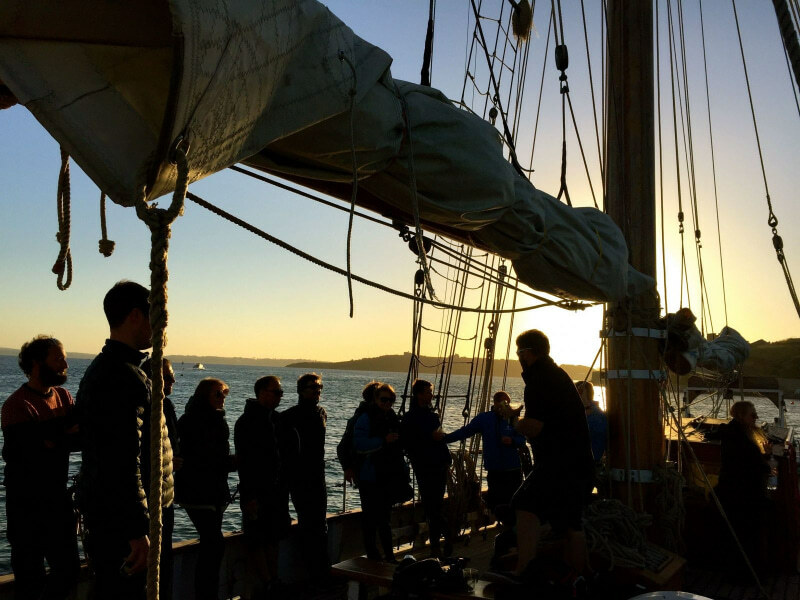 And, after a day of strong winds, full sails, and the odd accidental concussion, we cruised into the St Mawes harbour, right on sunset. The exhausted crew took a moment to enjoy the view, pour a drink, and take heed of how fortunate we are to live and work in such an incredible part of the world. 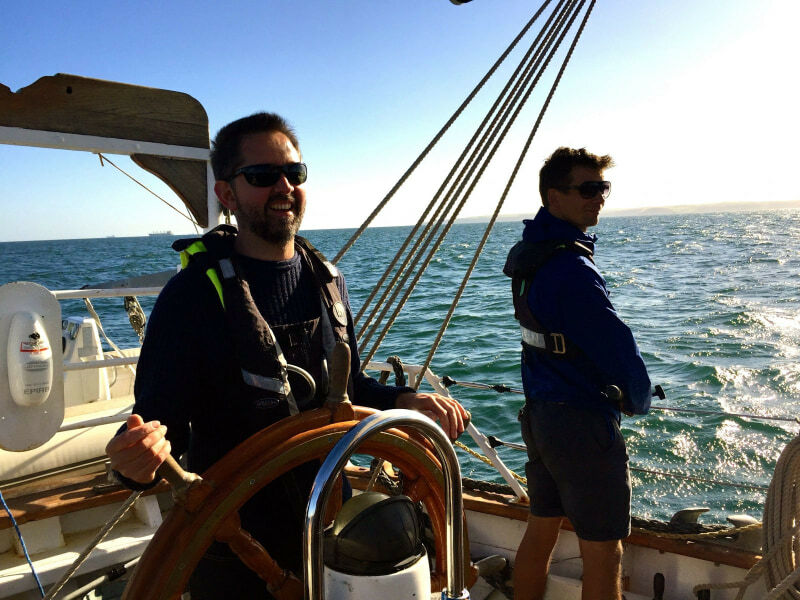 They say a smooth sea never made a skilled sailor, and the same applies in business. The challenges we face help us to grow, to learn and become stronger. Spending a weekend aboard a boat with your workmates, your comrades, your friends, fellow pirates, you realise that you’re all in it together. The lesson: If you surround yourself with the right people, you can sail through anything. A massive thank you to the Turn to Starboard crew for the warm hospitality, regular hot tea, and late-night story telling sessions. Arrrggghhh, here’s to many more adventures. Dewsign assisted in the launch and development of Turn To Starboard charity by providing pro bono branding, design, website development and associated marketing services - view the case study to learn more.